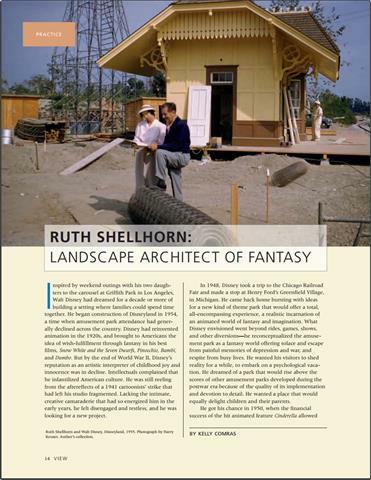 Although this is not in Disneyland, it’s a wonderful tribute to old Disneyland. 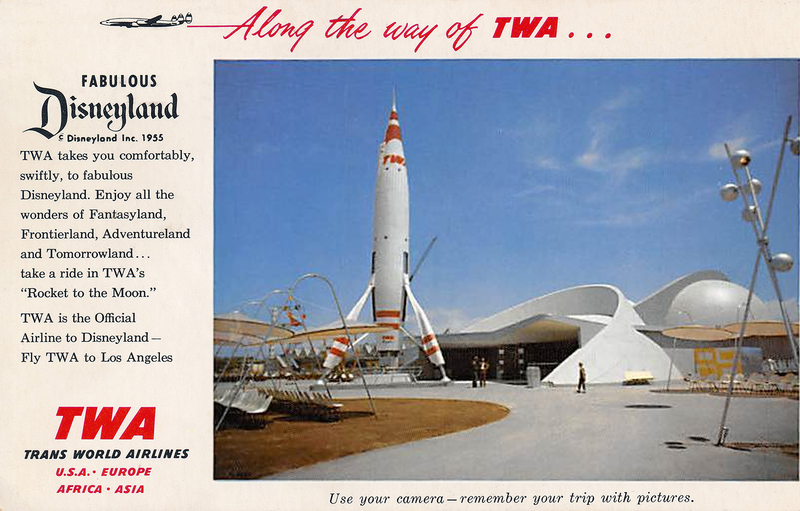 TWA sponsored the attraction until 1961, and so the giant rocket was emblazoned with the TWA logo. 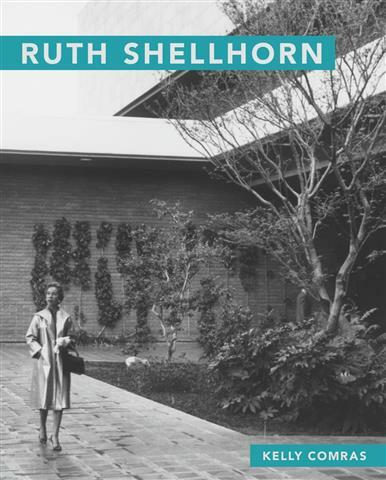 Sadly, when “Rocket to the Moon” closed on September 5, 1966, the rocket and building were demolished. However… its memory lives on in Kansas City, MO, on the roof of the original TWA Corporate headquarters’ building! Back in the 1950s, TWA had a 32 foot tall version of the Moonliner built and installed on the roof, which made it easy to find and see the TWA offices. The model was eventually removed when the building was sold. But, after the old TWA building was restored in 2006, a new Moonliner was ‘readied for launch’ on the roof, at the corner of Baltimore Ave. & W. 18th St. in Kansas City, MO. 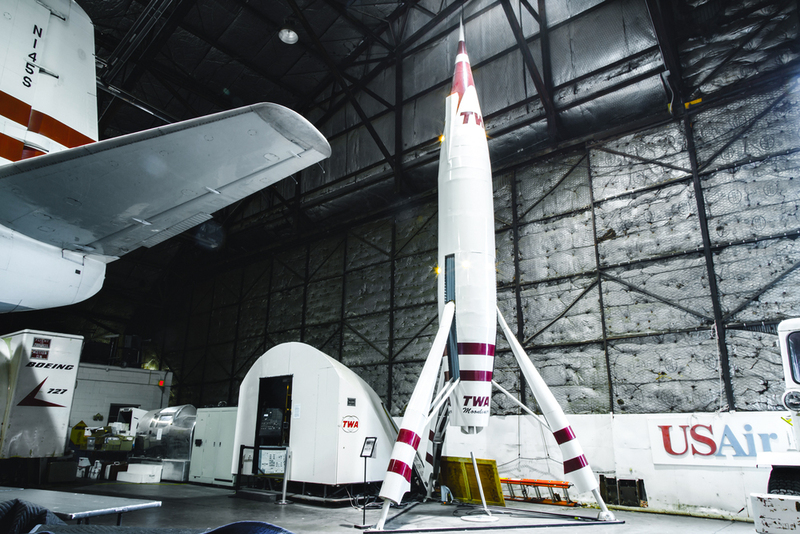 Happily, the original model from the TWA building was restored, and is now on display at the National Airline History Museum in Kansas City, MO. 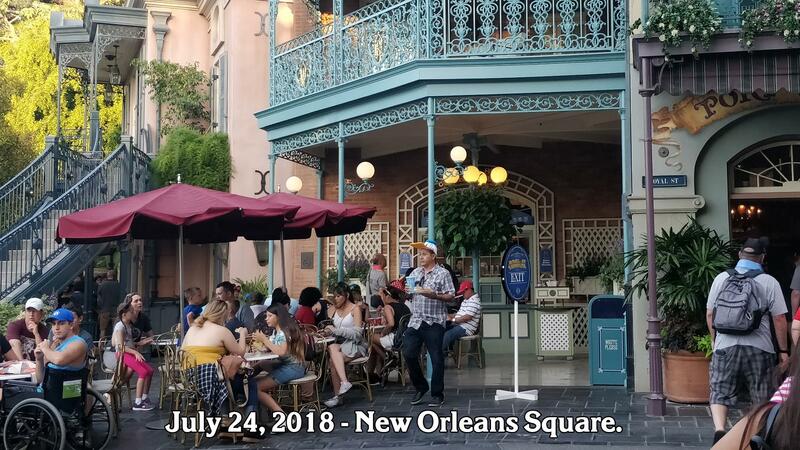 On July 24, 1966, New Orleans Square was dedicated in Disneyland. 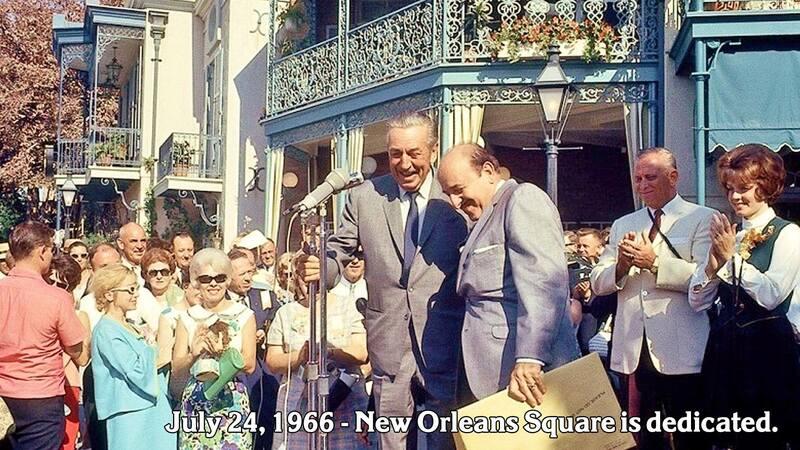 This was Walt Disney’s last major appearance at the Park. He dedicated NOS with the real Mayor of New Orleans, Victor Schiro. 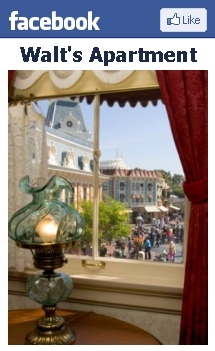 In the top-left corner, there was a small hotel with a swimming pool – which is now the front entrance of the Mickey & Friends Parking Structure, as well as the expansion of the maintenance buildings, and the long stable building for the Circle D Ranch. In the bottom-left corner, the re-routing of the Monorail track, primarily due to the addition of the Indiana Jones Adventure show building. 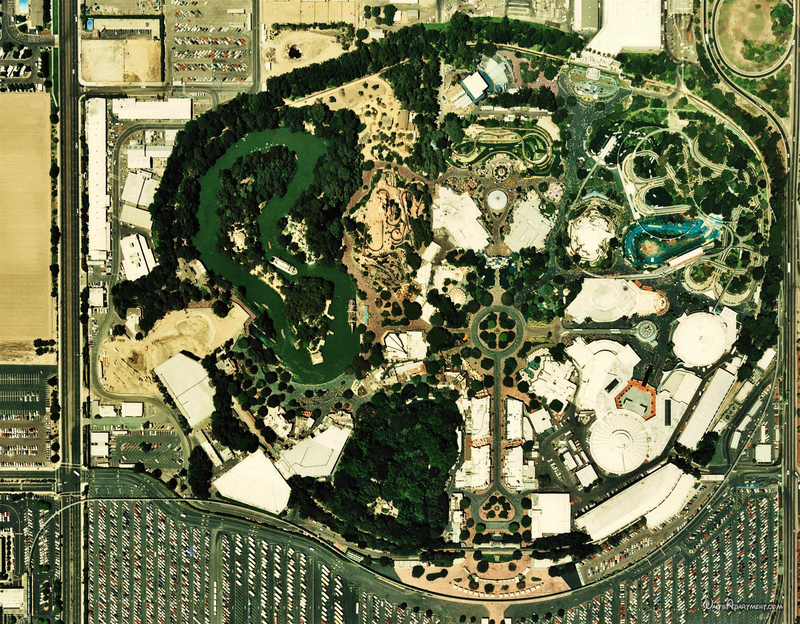 At center-left, notice the clearing of land an preparation for the construction of Splash Mountain. 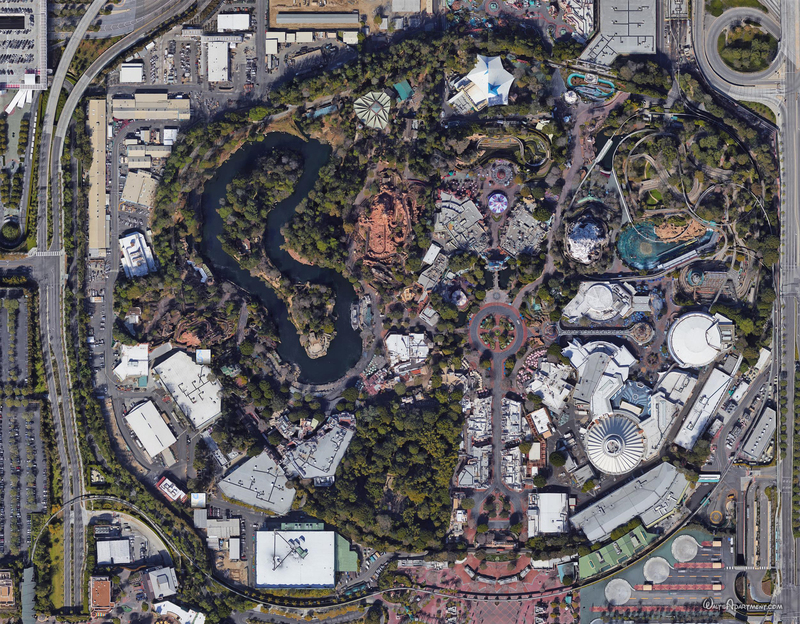 At top-center, the addition of Mickey’s Toontown.